Do you own tidelands and want a small shellfish garden? Visit our Summer seed sales! We offer oyster, clam, mussel and geoduck seed along with all the necessary growing gear to get your garden started. Grow your own shellfish for the perfect summer barbeque! We will be holding four sales in two locations throughout this summer. You will be able to choose clam, various oyster, mussel and geoduck seed and all necessary gear. Seed will become available for online purchase on the Monday at 10 am before the following Saturday pick-up (see the ordering and pick-up date table below). Much like in the past, we will have experts on site to answer any farming related questions. And don't worry, if we sell out online, we will have a limited amount of seed held over for purchase the day of! HOW DO I FIND MY TAX PARCEL NUMBER? To find your tax parcel, you will need to browse to the county assessor website (The County where the seed will be planted). For a complete list of counties, please go to https://dor.wa.gov/find-taxes-rates/property-tax/county-assessor-and-treasurer-websites. Once at your county assessor site, find “search my property” or “tax parcel lookup” and follow the prompts. Write down your tax parcel number and enter it into the appropriate box in our online order system. WHAT OYSTER SEED MIX WILL YOU HAVE AT THE SALE? It varies from sale to sale. Each Monday, we will post to our website the seed available for the upcoming Saturday sale. Manila Clams and Mussels are generally in good supply each sale. I'M BRAND NEW, HOW DO I GET STARTED? WHAT DO I NEED? Growing shellfish on a hobby scale is pretty straightforward. We sell all the gear and seed needed to get started. We have managers on hand at each sale to answer all your questions. In addition, displays will be set up to show you the different grow out options available to you. Our Seed Sales bring together a community of shellfish gardeners, so ask around at the sale! HOW MANY OYSTER SEED PER BAG CAN I EXPECT? We pre-bag oysters by volume. Counts vary as oysters grow at different rates. The average you can expect is 300-400 oysters per bag. We recommended splitting these equally between 5 grow bags. Purchasing a few extra bags is a good idea to "change-out" as oysters grow big. CAN I COME PICK-UP FOR MY NEIGHBORS? When seed is purchased online, you can have your neighbor pick-up for you. They MUST have your printed confirmation order with them. If you are planning on purchasing day of, you will need to be present. WHAT OYSTER SEED DO YOU RECOMMEND FOR A FIRST TIME GROWER? We would recommend you try a couple different types of seed. Every beach has different results. Experiment, and find what works best on yours! HOW LONG WILL THE SEED HOLD OUT OF THE WATER? 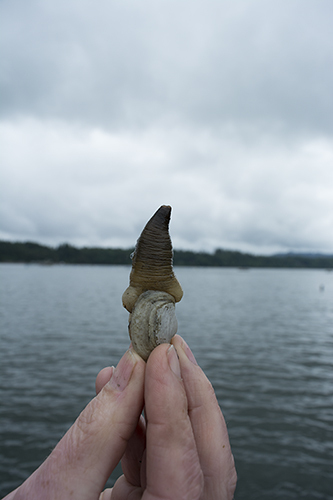 Plant clam and geoduck seed the same day. Oyster seed is ok for an additional day, but we recommend all purchased seed is planted no later than Sunday. Our expert farmers will be there to answer all of your questions and prepare you to grow a successful shellfish garden. Here are a few videos our Farm Interns made last year about seed & gear. 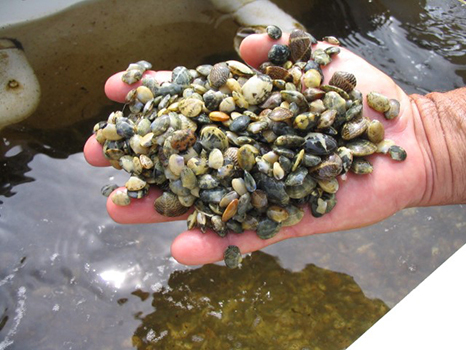 As a fellow shellfish farmer, we ask that you consider getting involved to support the efforts to keep the Washington State marine waters clean and safe. Below are just a few ways you can help out!